Okeechobee Discount Drugs is now selling CBD products for pain relief. Our CBD product line includes: roll on oil, topical spray, topical ointment, patches for the skin, tinctures, edibles and more! All of the ingredients used in these products are organic and non-GMO in order to produce the highest quality products. Essential oils combined with the highest level of phytocannabinoids deliver long-lasting, effective relief from migraines, joint pain, anxiety, muslce spasms and more! 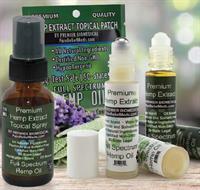 Hemp products are completely OPIOID FREE and offer a great alternative for pain relief, anxiety and aches & pains. Stop by 203 SW Park Street today!